Baby-soft skin is possibly the most scrumptious thing ever, but to keep our babies’ skin beautifully smooth, we have to tackle the issue of dry, eczema-prone skin, which is common amongst a lot of babies. I suffer from extremely dry skin all over my body and my husband has eczema-prone skin on his eyebrows, so it came as no surprise when we recently found out that our son James has dry, sensitive skin along his body. I did my research and discovered the AVEENO® Cream, which seemed to be the right product for the job. The AVEENO® Cream is a non-greasy and quickly absorbed cream with such a gentle formula that it can be used on babies from 3 months old. It’s also suitable for sensitive skin, dry skin and eczema-prone skin, so it really is a good all-round moisturiser for the entire family. 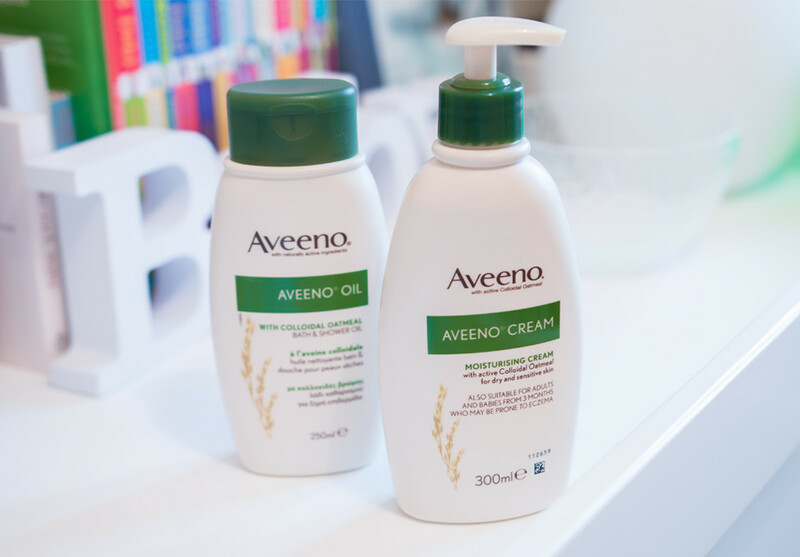 The main ingredient behind the amazing results that we have seen using the AVEENO® cream for the management of my son’s dry, eczema-prone skin, is naturally active colloidal oatmeal, which helps to restore the skin’s natural barrier, leaving a hydrating and soothing feel on the skin. Here’s a little historical fact for you: oatmeal baths have been used for centuries, even the Egyptians used it for its moisturising and soothing effects on the skin, especially for sensitive skin. The AVEENO® Cream has a lightweight texture with a velvety-smooth finish that feels like a protective layer on the skin. I like that it’s unscented because although my skin is not particularly sensitive to fragrance, I like to make sure that nothing will aggravate the eczema patches on my son’s skin. I’m pleased to say that his dry skin improved within 4 days of using the AVEENO® Cream, which is brilliant! We’re actually doubling up on his moisturisers by using the AVEENO® Bath & Shower Oil in his bath, and that helps to condition and moisturise his skin. This bath and shower oil also contains the naturally active colloidal oatmeal, so he gets the benefits of this powerful skincare ingredient twice. I would highly recommend giving the AVEENO® Cream a try if you or your children are struggling with dry, sensitive skin. It has become such an essential baby product for us that I included it in my Must-Have Baby Products video, so if you want to see all the products I featured, press the play button above or click here. 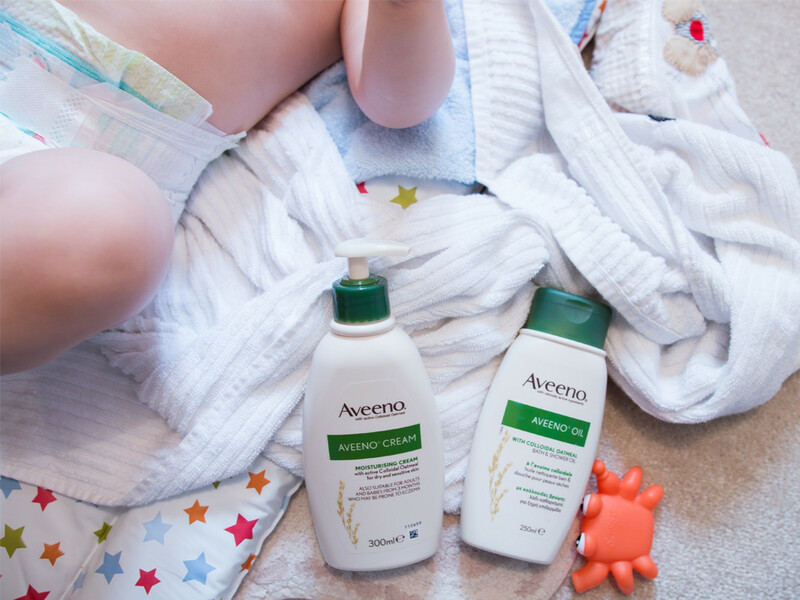 I would love hear your tips on how to care for dry, eczema-prone skin, especially on babies, and if you have used AVEENO® products before, please let me know on the comments below! Cosmopolitan Blog Awards 2013: My Favourite Blogs!